The Emu Valley Rhododendron Garden is within close proximity to the City of Burnie. 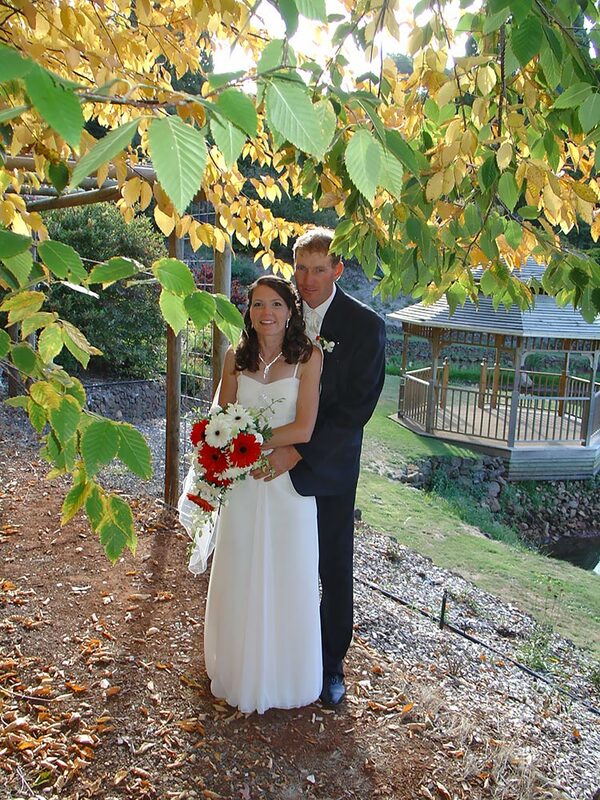 Our garden can create the perfect ambience for your special day. The peaceful surrounds provide an idyllic garden setting, the perfect backdrop for you and your guests to enjoy at any time of the year. Our venue has the flexibility to suit any style of ceremony, with spectacular opportunities for photographs. Ceremonies can be held in various locations, these include 2 Gazebos, 3 Ornamental lakes, lovely footbridges, water fountain, Japanese Covered Bridge and Japanese Tea House. We are always happy to discuss your wedding plans with you to ensure that your special day will be a memorable occasion. If you have a particular plan that involves something a little different, don't hesitate to ask. It is your day and we will always do our best to meet your wishes. Photographic sessions are also available. As you might imagine, at Emu Valley we are firstly a garden, and very proud of our unique collection of plants, many of these are quite rare, and we take great care of them. For this reason, we ask that you observe the usual rules of our Garden. Basically this involves keeping to established roads and pathways, observing signs and avoiding anything that might cause damage to the Garden. There are several special features in the garden that may provide excellent photographic opportunities, depending on the season. These include the flowering rhododendrons in season (peak time is September to November), bridges, lakes, pools etc. Please note that no booking is considered firm until the bond has been paid and confirmation received.